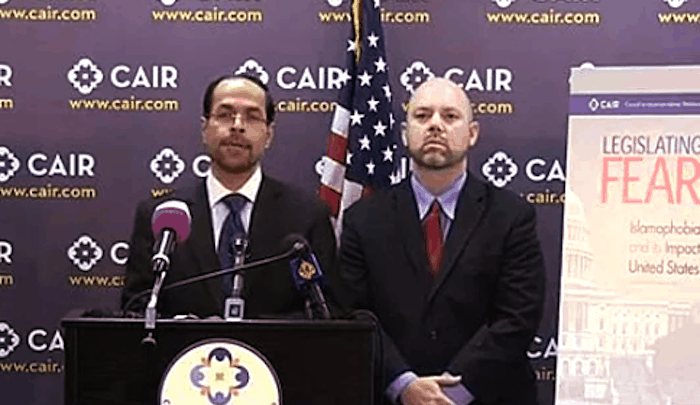 Jihad Watch : The Council on American-Islamic Relations (CAIR), the nation’s largest Muslim civil rights and advocacy organization…called on Fox News to withdraw its representatives from an upcoming conference sponsored by a notorious anti-Muslim hate group. A reminder: the West is not under Sharia, but still upholds the freedom of speech, which includes the right to criticize Islam. Criticizing Islam is not hate. ACT For America does not espouse hate, but casts light on the atrocities committed worldwide in the name of Islam, and on the truth about the incursion of Islamic supremacist/Sharia ideology into the West. That ideology aims to shut down the freedom of speech, the cornerstone of democracy, as we can see from this call. CAIR and other unindicted co-conspirators relentlessly chip away at the freedom of speech in accordance with the program of the Organization of Islamic Cooperation to bring Sharia blasphemy restrictions to the West. The U.S. needs to declare the Muslim Brotherhood a terror organization and deal with its affiliates and offshoots accordingly.